Our Joya design is entirely handmade of a sumptuous 65% Ethiopian Silk and 35% Ethiopian Cotton. Simple and elegant, this style is just the right accessory for the season. 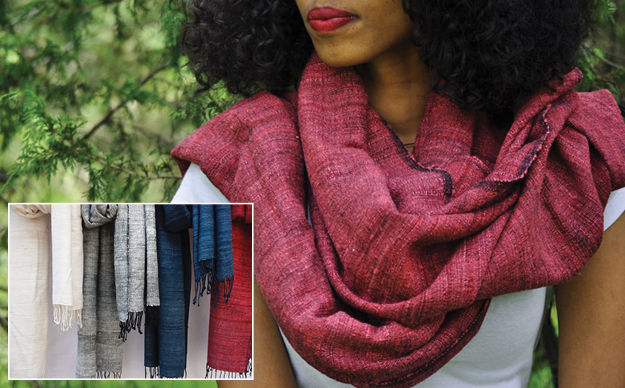 Beautiful as a scarf or worn as a wrap. Nice weight for fall and winter. Hand wash.